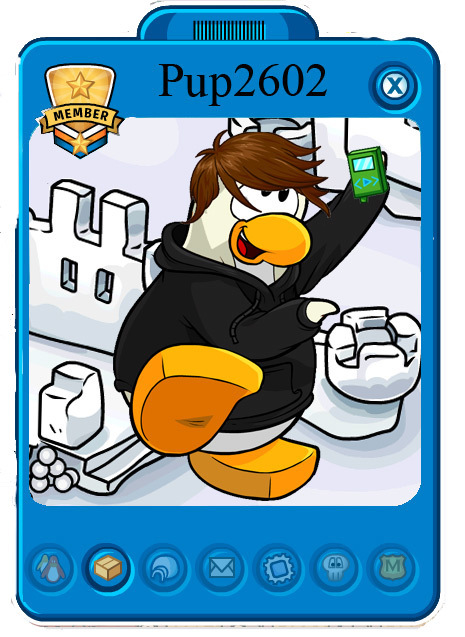 Pup2602’s New Mascot Player Card | Secret Penguin Cheats! This entry was posted in mascot, penguin, pup2602 and tagged club penguin, club penguin blogs, club penguin cheats, club penguin mascots, clubpenguin, clubpenguin blogs, clubpenguin cheats by pup2602. Bookmark the permalink. This is just a custom mascot player card I posted because I was bored. And to make a mascot player card is a lot of work and I don’t know how to explain it. But you can get a custom penguin on my customs page.